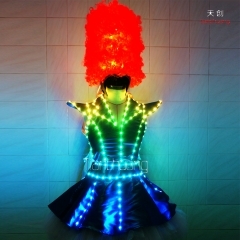 Light source: Tianchuang exclusive & patented LED strip, not common LED strip in the market. 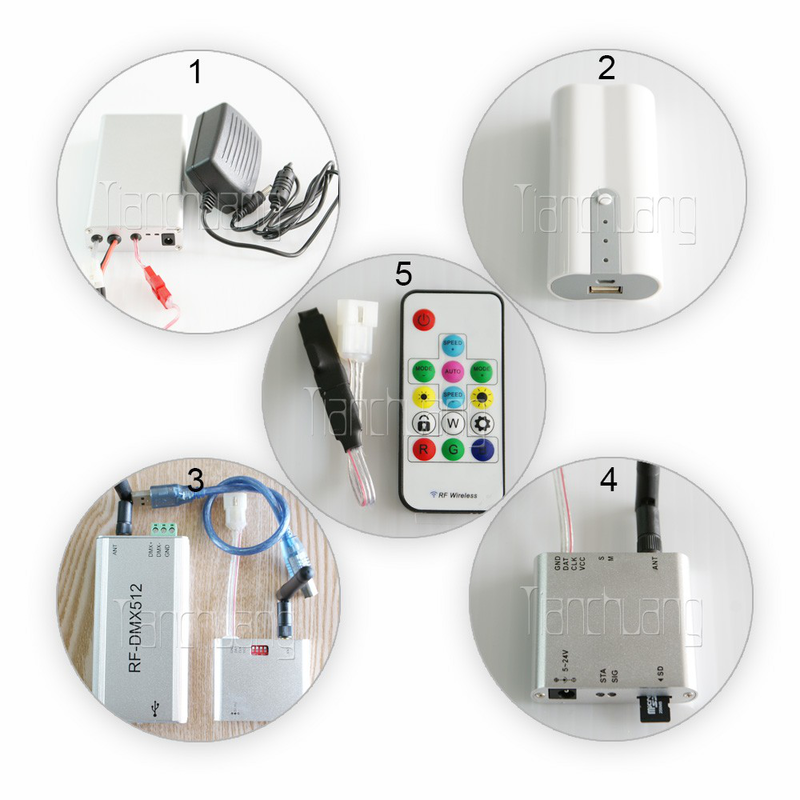 For more our items' video please link to below URL. 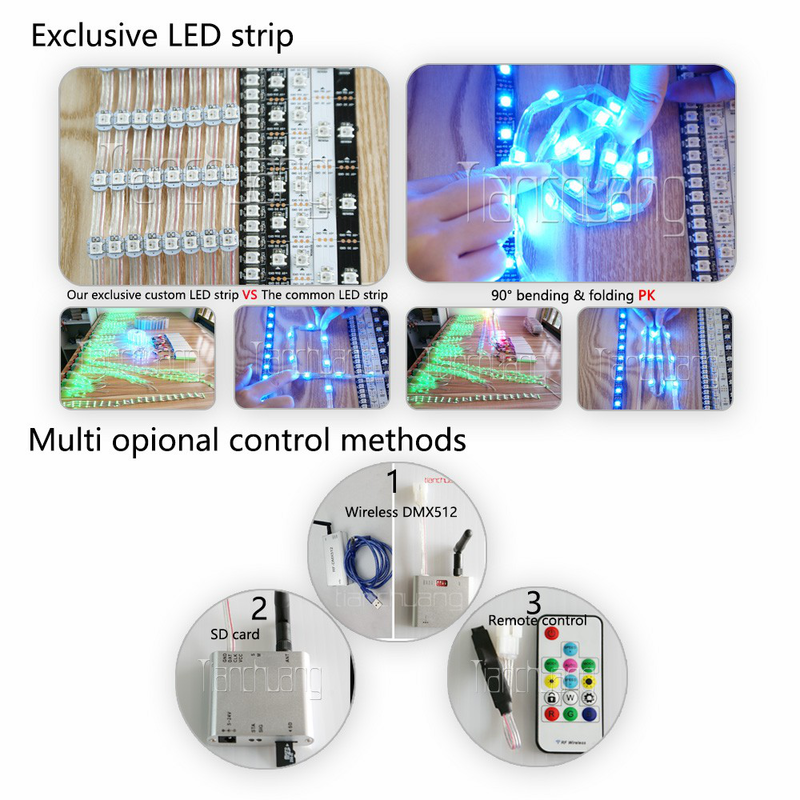 1.The LED strip we use, is not the common ones. 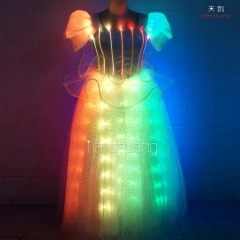 It is our special customized patented product, each full color LED lamp is hand-welded. 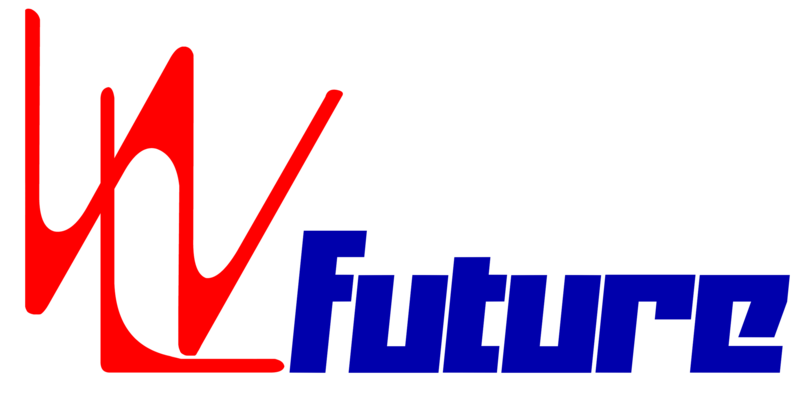 The strip is very soft, free bending, and long life, low failure rate. 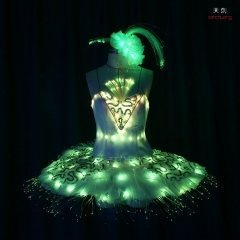 2.Each led lamp can be controlled alone by our costume dedicated Synchronous plug-in SD card controller. 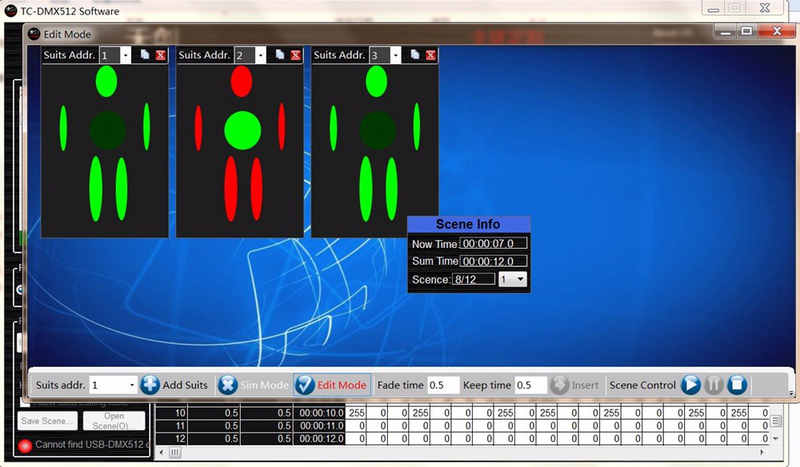 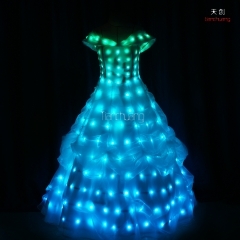 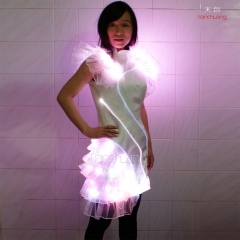 3.We have the easiest LED costumes (Tron dance) DMX512 programming software in the world. 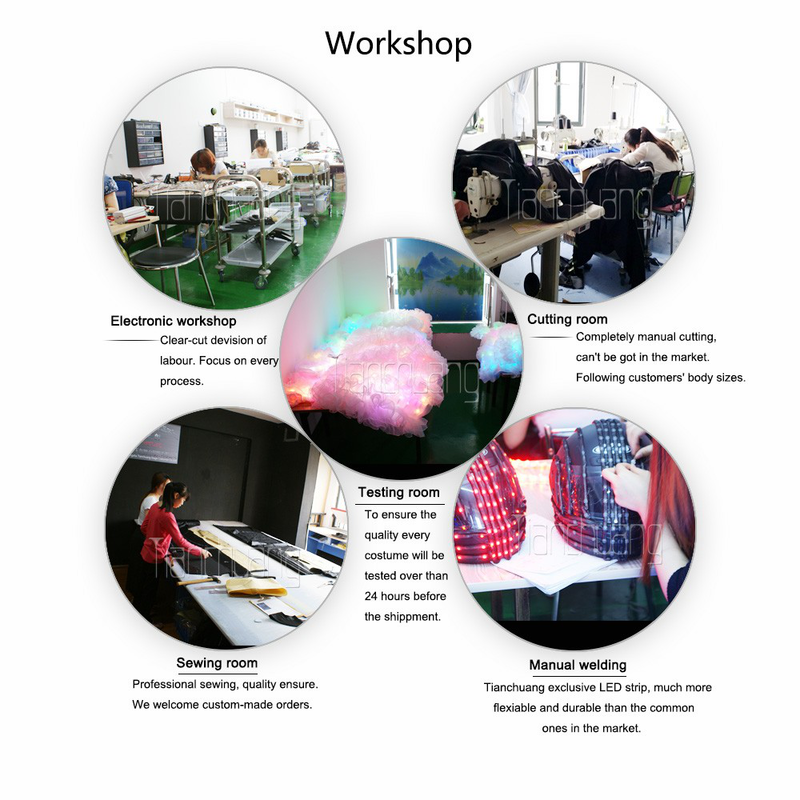 4.Customization according to your drawings,pics,samples. 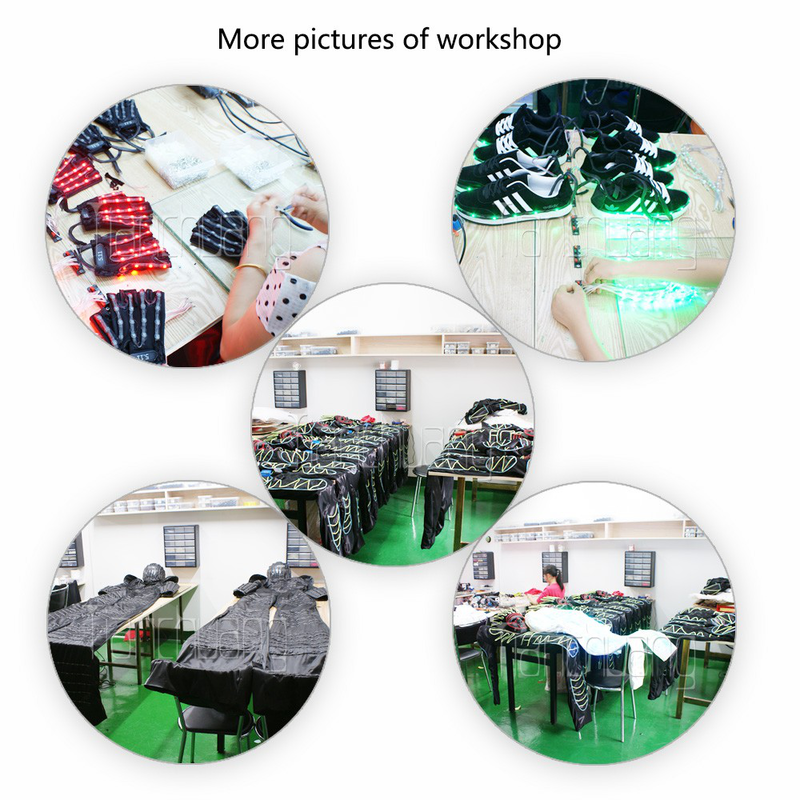 Remark: After you confirm the LED costumes you are going to order ,we will advise you which battery and which control method you need. 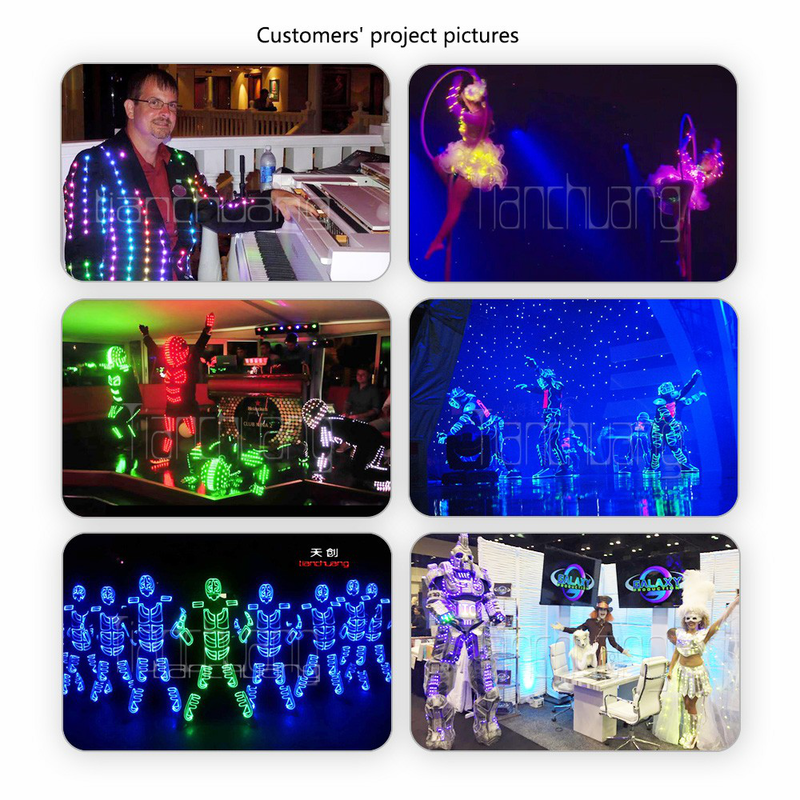 Wirless DMX512 software: Using this software, the LED costumes can be controlled by different parts as head, right arm, left arm, right glove, left glove, chest.......the costumes work synchronously, no time error.